We have over 20 years of experience installing beautiful fireplaces and stoves. As a result we have worked on many residential and commercial projects in this time. 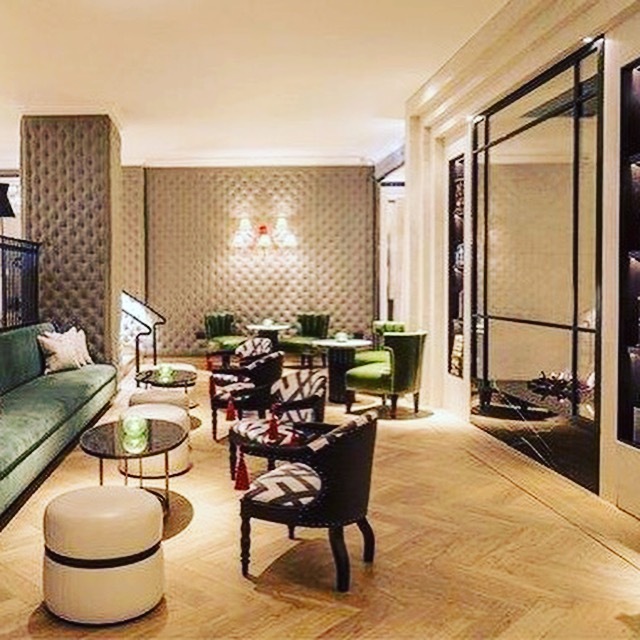 Furthermore we have built up a great reputation amongst architects, interior designers and property developers as well as private clients. All our fireplace designs and installations are individually tailored to the requirements and wishes of our customers. It is our job to ensure that the finished fireplaces marry beautifully within their surroundings. 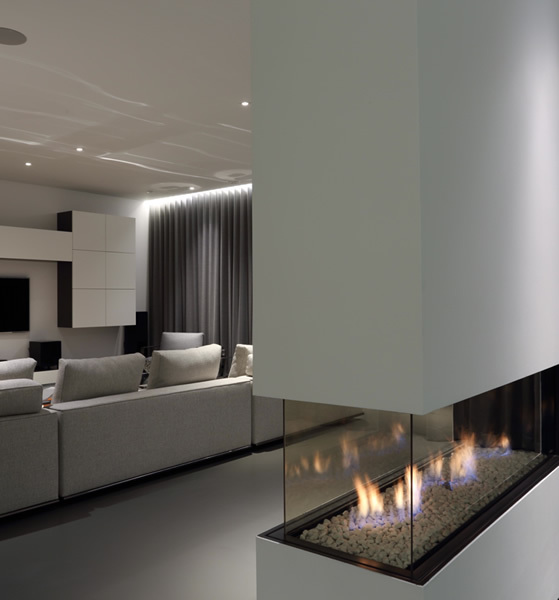 From our archives, we would like to share with you, our top 5 contemporary fireplace designs and installations. The projects chosen show not only the level of our professional expertise but also the set of skills and knowledge. In addition the experience we have within the fireplace industry. The images speak for themselves. 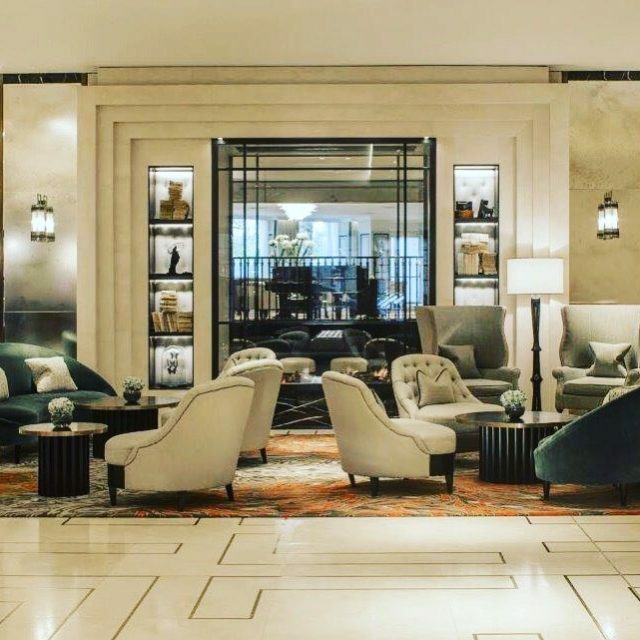 Commissioned by Orbit Architects to remove two existing back to back fireplaces in the main hotel lobby. 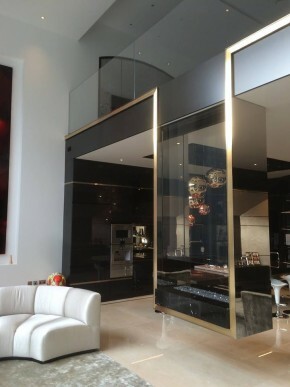 We replaced them with the installation of a large two sided glass fire. We had just worked on a similar project, hence we were able to show Orbit Architects visuals of the ‘desired look’ they were after. For this reason the task was instructed to us. What we actually did: The installation of the new two sided glass fireplace. Also the completion of a new twin wall flue system and Exodraft fan unit. Project time: Approximately 4 months. Commissioned by Hill House Interiors to install two luxury and bespoke fireplaces in a fantastic new build in St Georges Hill. 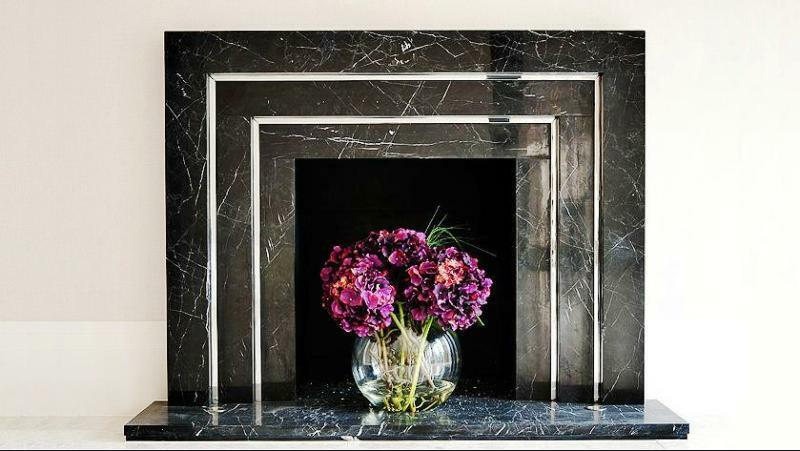 What we actually did: Fireplace 1 – Installation of an innovative ‘art deco’ style fire made from Nero Marquina marble. This is known for it’s beautiful ‘veining’. Also fitted ‘up’ lights from the hearth. In addition polished metal inlays on the inside of the mantle were fitted to create a visually stunning effect. Fireplace 2 – Situated in the spacious kitchen of the property. Created a huge ‘hole in the wall’ fireplace made of Limestone. The frame included polished metal inlays and created a wonderful addition to the design. We were asked by a private client to install a total number of four fireplaces in a new build house in Wandsworth. Two of the fireplaces were large curved burners with TVs above. What we actually did: Played a key part in the planning, design and building process. As well as responsible for the fitting of the fireplaces. Both were fully remote controlled. Furthermore they were completed with new twin wall flue systems and Exodraft fan units. 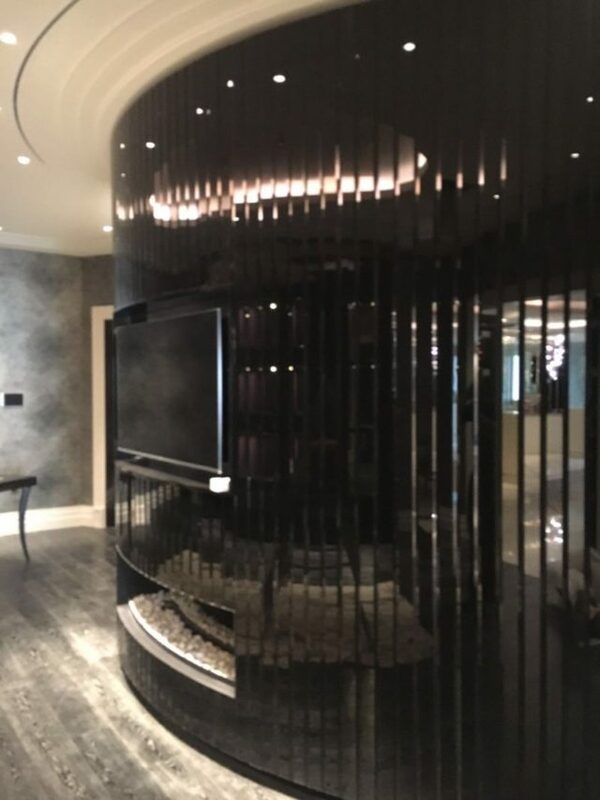 The curved fireplaces are as a result some of the most ambitious and stunning fireplaces that we have worked on to date. Project time: 2 years from initial briefing to completion. 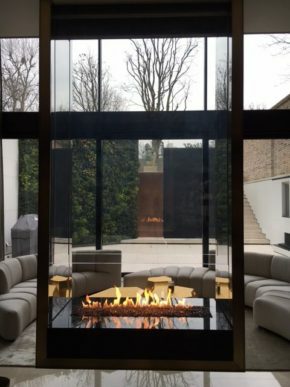 In this case we were asked by a private client to install a unique fireplace in keeping with the ‘modern’ interior of this property. The fireplace was to be built into a ‘standalone’ dividing wall placed between two rooms. 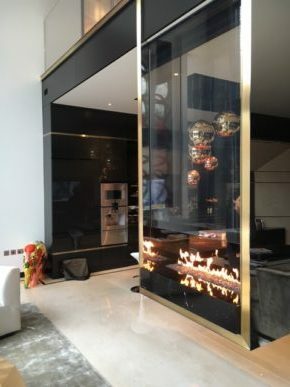 What we actually did: We opted for installing a Faber Aspect Premium Rd XL – an imposing 3 sided see-through fireplace. It could be built into the wall in such a way that the client could have an great view from anywhere in the rooms. Appointed by HPM Developments to install two contemporary fireplaces in a huge refurbishment in South London. What we actually did: Helped with the planning, design and building process. As well as doing the installation. This included the completion of new twin wall flue system and Exodraft fan units for both fireplaces. Plus fitting the incredible suspended glass fireplaces. 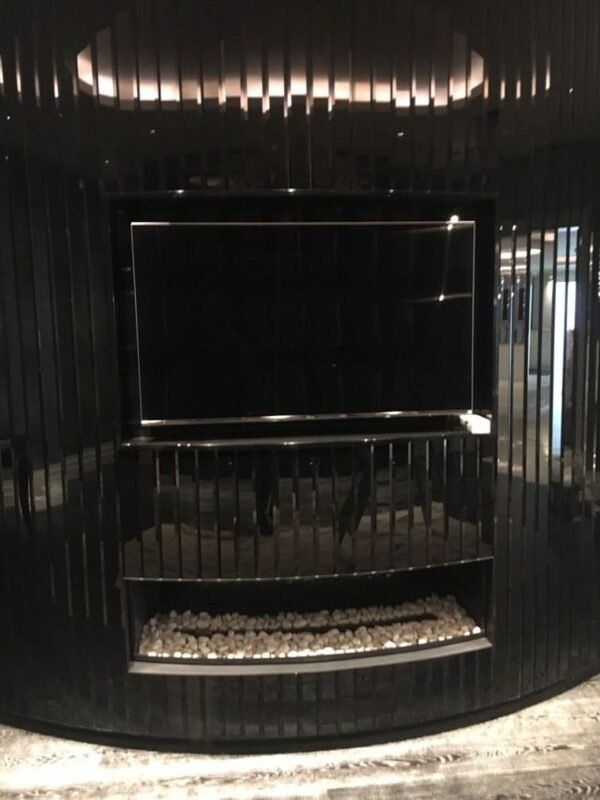 Finally, if you are considering installing a contemporary fireplace, no matter how big or small the project might be, then give The Billington Partnership a call today to see how we can help on 07545 855623.